Home > Memorials > Memorial Stones > Personalized Memorial Stone - GoodByes Are Not Forever.. 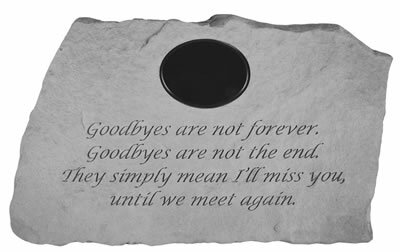 Preserve the memory of your loved one forever with this beautiful memorial memorial stone. 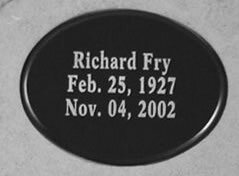 The memorial stone includes a marble plaque that can be engraved with up to three line (18 characters per line).